Reverend Tanya Wyldflower graduated from her ministerial class in June of 1998 under Doctor Reverend Candice Becket, former President of Religious Science International and Pastor of the Ukiah Center for Spiritual Living She led the Mendocino Coast Science of Mind Study Group in March of 1997 as a Licensed Practitioner of Religious Science. In December of 1999, the study group gained official recognition as a legal nonprofit organization with Society status and Reverend Tanya received her Interim Field Minister license. She is currently the Ordained Minister for the Mendocino Center for Spiritual Living as well as the Hospice Bereavement Support Group Facilitator. 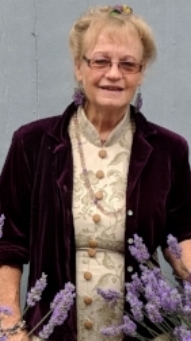 Reverend Tanya comments, “There is a great desire for a New Thought organization on the Mendocino coast and I have been given enthusiastic support. Like so many in our Spiritual Center, I have found my philosophical home in New Thought, because it takes from the wisdom of all religions, shorn of dogma and superstition. Our Spiritual Center has taken on the name "A Center for Spiritual Living" to guide us in remembering why we join together each week. The love that is present in our Spiritual Community can be felt by all who visit us. We have chosen to have guest speakers come two or three times each month and offer us the highest ideas and inspiration within them. I have chosen to speak only once or twice a month so that we can receive the wisdom gifts these other spiritual travelers as well. My approach in classes is that we are students and teachers to each other and the divine wisdom is within each one of us. Together we bring out and share the best with each other. This ministry offers me an opportunity to offer myself as God in expression, helping myself and others to learn to love and free ourselves to our fullest potential. It is a path of service that serves me well. I delight in exploring the depths of our humanity and our spirituality together. It is my great joy to be the Spiritual Director for our Center for Spiritual Living. Practicing the principles of Religious Science and Science of Mind has made all of the difference in my life! I have been involved with Religious Science since 1995, a Practitioner since 2001 and a Minister since 2004. I have worked in the medical environment for over 20 years and have studied psychology, self-help, spirituality, and the mind-body connection for over 40 years. I love the science of Religious Science! I love knowing the truth for people through treatment, counseling, officiating at weddings and other ceremonies and rituals. I am guided every day by the teachings of Ernest Holmes and the power of our thoughts. "Your dreams are waiting for you to come true"
Our ministers are available for officiating at marriage and funeral ceremonies, performing christenings and other sacred ceremonies. Reverend Tanya & Reverend Gail are trained in Chaplain support services.